Looking to get your FBA business running full speed but not sure what tools you need? You’ve come to the right place, because this list is where we share all of the tools that we use in our business. Some resources might be old, some new! The one thing that’s constant is that we only share resources, tools and services that we actually use and can give honest feedback on. Bookmark this page as a reference, because we’re sure you’ll want to make your way back here more than once! Whether your business revolves around Amazon Private Label or Online Arbitrage, there are plenty of tools ot help grow, scale and automate your business. Over the years, we’ve refined the tools that we use specifically for our Amazon business. Here’s the list of software tools that we currently use for our Amazon FBA business. This is the software that we’ve used for the longest period of time. From the early days of Retail Arbitrage to our current Amazon Private Label business, Inventory Lab is excellent for researching a products profitability, creating Amazon FBA shipments, and tracking the profitability of goods we sell on Amazon. The “scout” tool on Inventory Lab is a nice upgrade to the basic Amazon Revenue Calculator. It not only shows you the FBA fees for a particular product, but you can easily add in Sales Tax and an estimated cost of shipping based on the product’s weight. 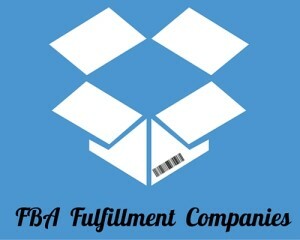 We always create FBA shipments through Inventory Lab so we can enter our unit cost, supplier information and purchase date of the goods we are shipping. This is a very easy way to track your profitability on Amazon. With that info entered, Inventory Label will pull all of your Amazon sales data, factor in the cost you entered for each product and provide per SKU profitability in an easy to read format. You can access a wide range of user friendly reports that can help you get a grasp on the profitability of your business. We rely heavily on HelloProfit to show us our per SKU profitability. While Inventory Lab is a great basic software, HelloProfit factors in all of our product costs like advertising and refunds, in addition to landed cost to get our goods to Amazon FBA. Before making any inventory repurchases, we ALWAYS analyze the SKU on the HelloProfit Product Dashboard. While you may think your product is profitable, you don’t really know until you see how many refunds you are getting and the cost to convert a sale with your ad spend. We’ve been able to identify weaknesses in our product line, and with all the juicy statistics from our Amazon sales we’ve been able to increase profitability as a whole. Show me a free Amazon software that is better than Keepa. You’re not going to find it! 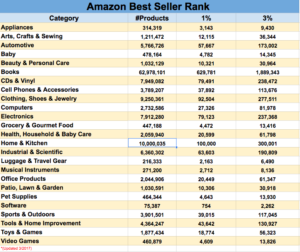 Keepa is a browser plug in that shows you the Best Sellers Rank and pricing history of a product directly on the Amazon product listing. This allows us to easily assess how a product has performed in the past, the correlation to price and BSR and so much more! Don’t get burnt thinking that the current BSR of the product tells the whole story. Keepa will open your eyes to the facts of an Amazon listing. If you’re looking for product ideas, the Jungle Scout Web App can help you easily filter through thousands of products. You can refine the data based on category, price, sales, reviews and more. It gives you access to Jungle Scouts proprietary sales estimates, so you don’t have to guess what the heck a Best Sellers Rank means. You can easily select products from the list to track and build your own portfolio of products to track your product research efficiently. 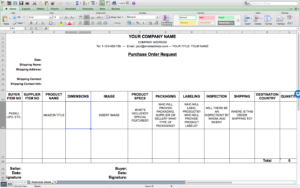 Basically, this eliminates the need for a product research spreadsheet. The Jungle Scout Extension is a simpler version of the web app. You’ll get all of those proprietary estimated sales amounts in units and dollars. From either the search results page or the product listing, you simply click on the Jungle Scout Extension icon and it pulls in easy to review factors like: Unit Sales, Dollar Sales, Review Count, FBA Fees, and much more. This tool will save you lots of time and really draw context around products when doing Amazon Private Label Product Research or even just looking at potential Arbitrage products. Looking for a free Keyword Research Tool for your Amazon Product Research? AZoptimizer is one of the many great tools by AZmazo. This tool pulls monthly keyword search volume, pulling a wide range of keywords and phrases that you can use to optimize your listing. It even gives you common misspellings and Spanish phrases that are often searched on Amazon. Helium10 is the most powerful keyword research tool that we use. It’s our one-stop-shop for keyword research and building highly effective Amazon product listings that convert. We especially like the fact that we can get results specific to the USA, Canada and UK marketplaces which we operate in. From standard keyword research to reverse ASIN searches, we’re able to find the keywords that we would never have thought of – like common misspellings and multi-lingual keywords. We use their Scribbles feature to write our listings, ensuring that we not only use our top keywords throughout the listing but the longer tail keywords that can bring in that incremental traffic. If you want to be a successful Amazon FBA seller, you need to have an effective email follow up for your products. Emailing your customers is not only important to establish a line of communication, but it drives product reviews! Feedback Genius is the best platform to automate your email campaigns to your Amazon customers. You can build beautiful email templates and schedule them to be sent at various intervals to optimize review generation. Aside from the email service, we also use Feedback Genius to track our review rates and alert us if we receive a negative review so we can follow up with the customer to resolve the issue. Amazon Sponsored Ads is one of the best ways to boost sales, by paying to show your listing higher in the search results. While it’s a fairly easy platform to manage, there are several variables that can be complicated to manage the more campaigns you run, like bid amounts and your ACoS (average cost of a sale). Ignite acts as your virtual Amazon Sponsored Ads manager, but for a fraction of the price of a real-life ads manager. Ignite constantly monitors your ad spend and pulls all the Amazon reports to optimize your ad campaigns ACoS with smart recommendations on bid amounts, adding new keywords and creating negative keywords. So take the headache out of managing your sponsored ads and optimize with Ignite. If you are launching a new Amazon Private Label product, you need to generate sales and reviews from the get-go. JumpSend is a deals site where customers are looking to buy products at a discounted rate. Simply create your listing on JumpSend, add your Amazon promo codes and watch the customers roll in. The more sales you get, the more your Best Sellers Rank will improve. These discounted sales will help to boost your organic sales, as a result. And while it’s not guaranteed, the more sales you make the more product reviews you will collect. So turn to JumpSend when you need to get a BSR boost and try to drive more product reviews. This is our go-to source for checking world freight rates and booking our shipments from overseas. Freightos is a game-changer for Amazon Private Label importers, especially new ones. It’s taken the archaic quoting system of importing and cleaned it up into a user-friendly interface that gets you accurate freight quotes in just minutes. So, if you have NO-CLUE how to import, you can confidently take the apprehensions out of the equation by working with Freightos. All you need to do is add your shipment size information, departure and destination locations and you’ll have comprehensive quotes to select from. Freightos specifically specializes in getting your goods from your supplier in China to Amazon FBA, whether that’s in the USA, Canada or the United Kingdom. Want to learn more about importing to Amazon FBA? Check out their free importing guide for beginners. Although Amazon FBA is our biggest marketplace, we have diversified to other sales channels to increase sales. These include Walmart, JET, eBay, Houzz, and Shopify. Ecomdash has made this expansion a breeze by taking our Amazon FBA inventory and listing it across all of these channels. And it’s constantly syncing our inventory levels across all of our channels so we never sell a product that is out of stock. When we get an order on any one of these channels, Ecomdash automatically creates a Multi Channel Fulfillment order on Amazon and adds the tracking details when it ships. Run your eCommerce business with simple accounting software. Makes tax prep a breeze! All Financial Docs in one place, automatically! Using FBA Fulfillment Companies & Freight Forwarders, also known as a Prep and Ship services, can be a game changer for your business. It was definitely a milestone for our business, as we discuss in great detail in one of our most popular blog posts. (Check it out here). For one, it can free up the time consuming tasks of Prepping and Shipping your products to FBA warehouses. BUT, for those of you doing Online Arbitrage, you can avoid paying sales tax and really spike your profitability. We even use Chinese Freight Forwarders to take our Private Label Products from China directly to Amazon FBA – for efficient, seamless logistics. The list comprises companies that we have actually used and would recommend. Are you overwhelmed with all the different categories and ranks? A 50K Rank in Books is a horse, but in Video Games it’s a dog…Say what?!? Need to reach out to Amazon Seller Support or a Private Label Supplier – but don’t know how to start? No worries, we’ve compiled our most effective templates, so you can cut out the guess work and get the most out of your communications. Please note, some of the links mentioned below are affiliate links. By clicking on them and making a purchase, we make a small commission. Using these links in NO WAY makes your purchase more expensive. It simply gives us a few more dollars so we can continue providing valuable content to you, our New Crew!